Built to work for the golfer and to minimize work for the grounds crew. That's our Club Washer in a nutshell! Ultra-resilient, color-impregnated polypropylene cover and base, provides years of service. High-grade reversible bristles for extended life. Twist-lock cover can be removed quickly, which makes cleaning easier. 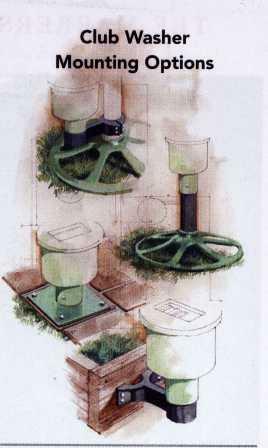 Versatile design can be mounted to vertical and horizontal surfaces, or a ball washer pipe. 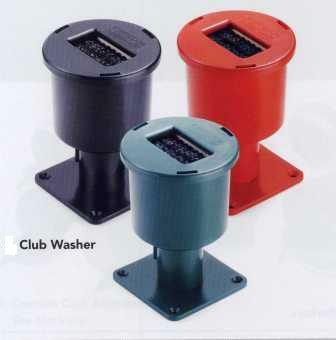 Club Washers Great Addition To Any Ball Washer!